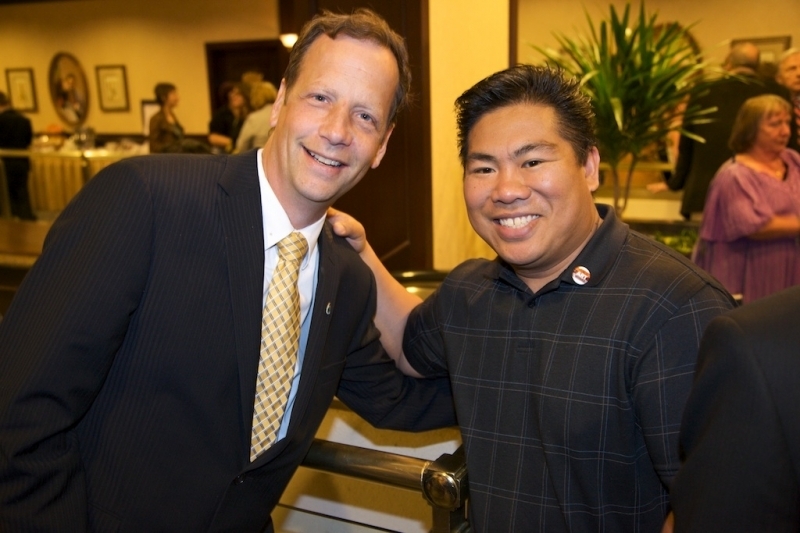 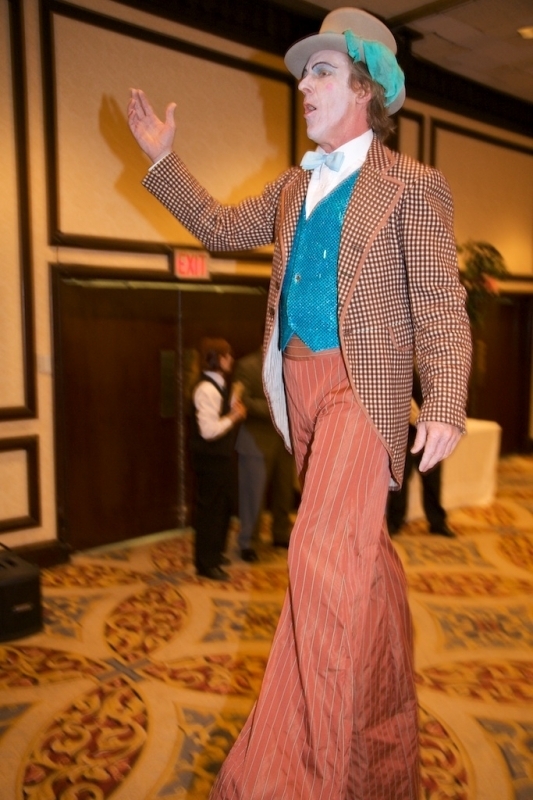 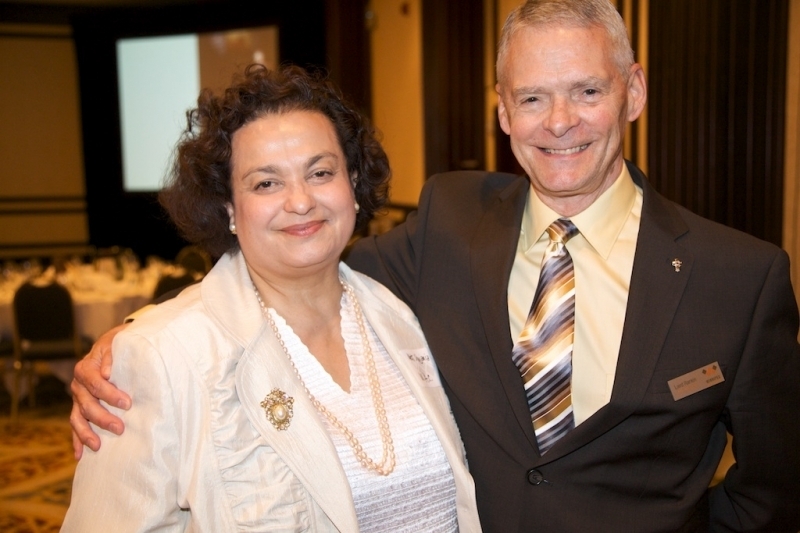 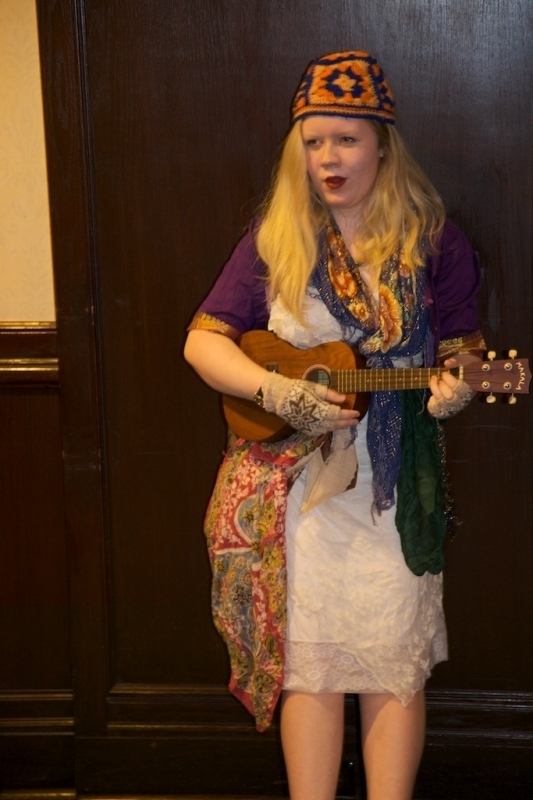 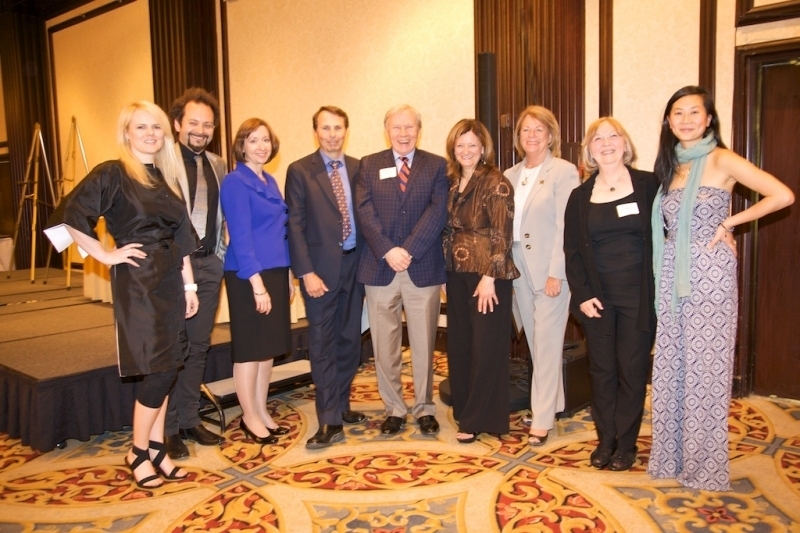 The 2011 Mayor's Luncheon for the Arts was held on June 9 at the Fairmont Hotel. 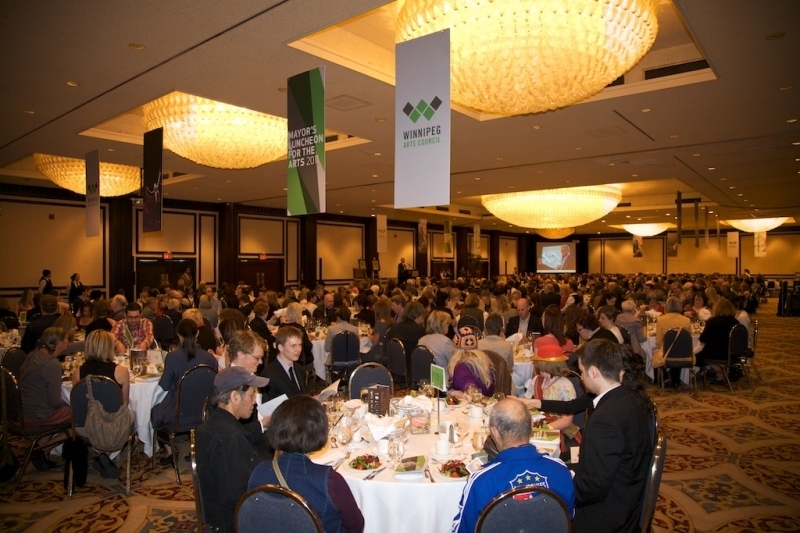 In addition to its usual role of celebrating artists, in 2011 the Luncheon also celebrated the incredibly successful year that Winnipeg had as the Cultural Capital of Canada, promoting the ARTS FOR ALL project on behalf of the City of Winnipeg. 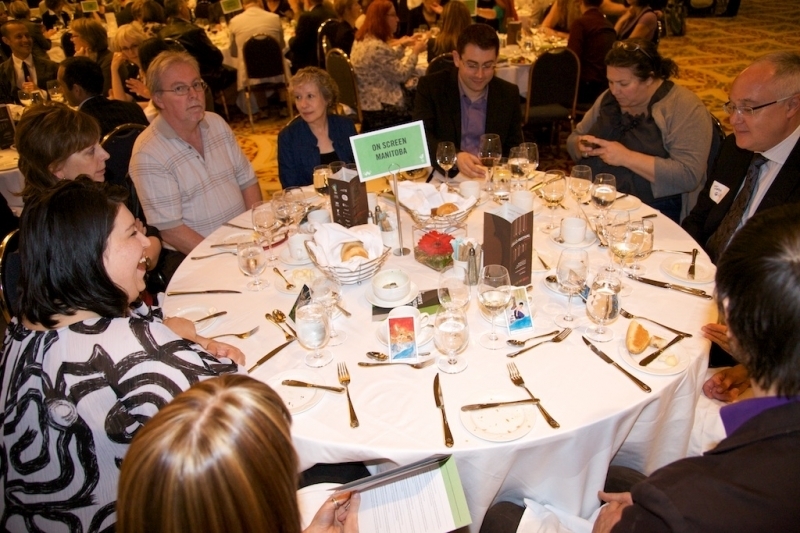 Councillor Paula Havixbeck, Acting Deputy Mayor, addressed the crowd and helped distribute the awards on behalf of the Mayor. 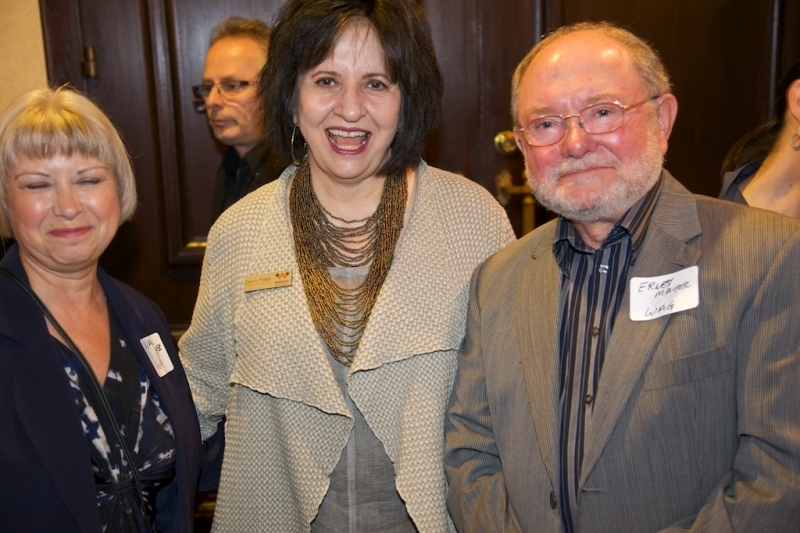 The Luncheon was hosted by the Winnipeg Cultural Capital of Canada Arts Ambassadors Dominique Rey and Debbie Patterson. 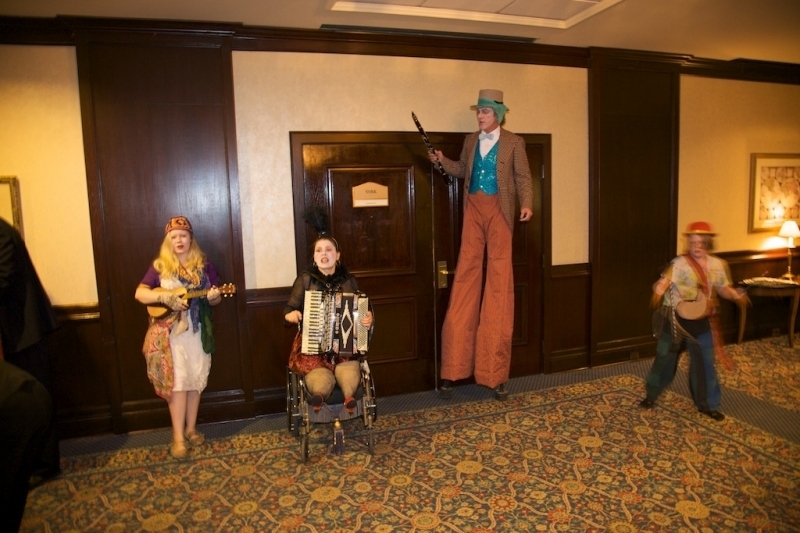 The patrons were entertained by The Pizzicelli Cello Ensemble, and Molotov Circus, a musical and performance travelling circus. 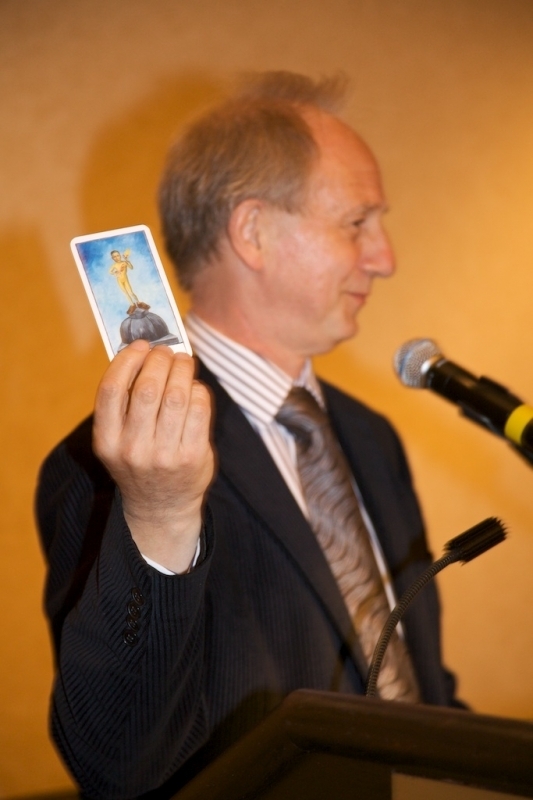 Alan Freeman, a cultural economist with the Greater London Authority and visiting professor at the School of Planning at the University of Manitoba talked about the importance of cultural planning. 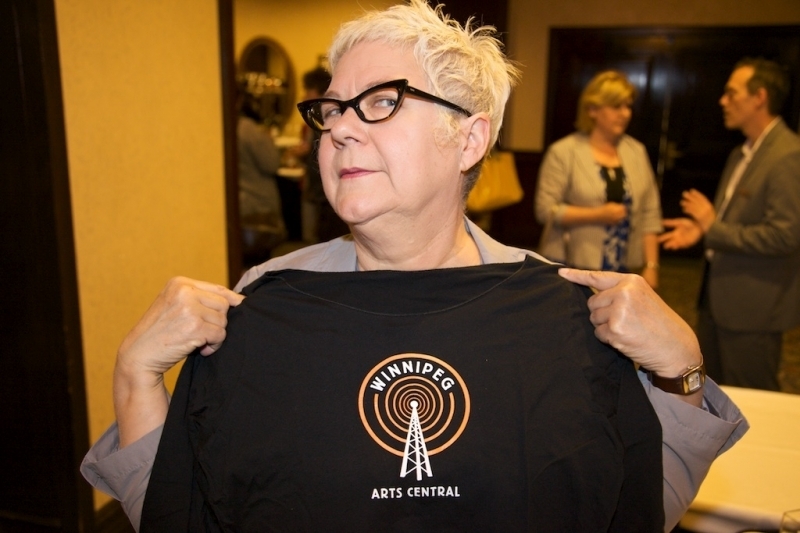 The Winnipeg Arts Council had just released Ticket to the Future Phase 2, a new cultural action plan for the City of Winnipeg, the purpose of which was to acknowledge the important role of the arts in Winnipeg and to provide a cohesive plan for the next decade. 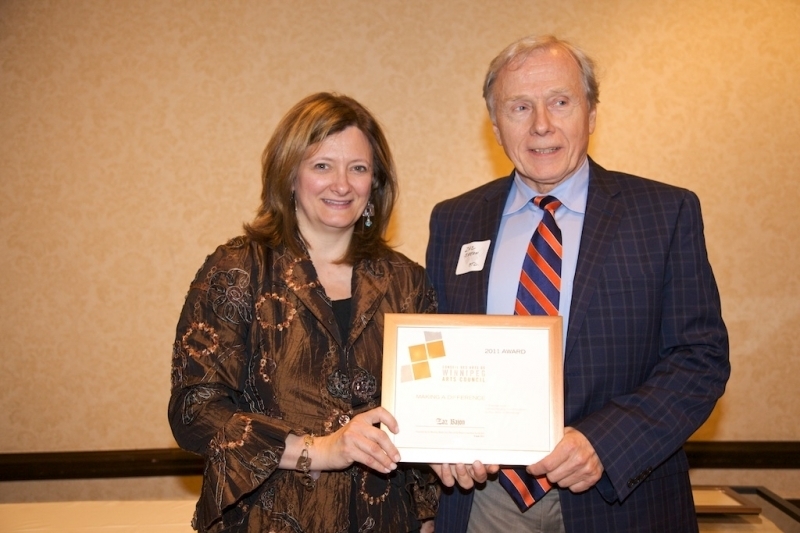 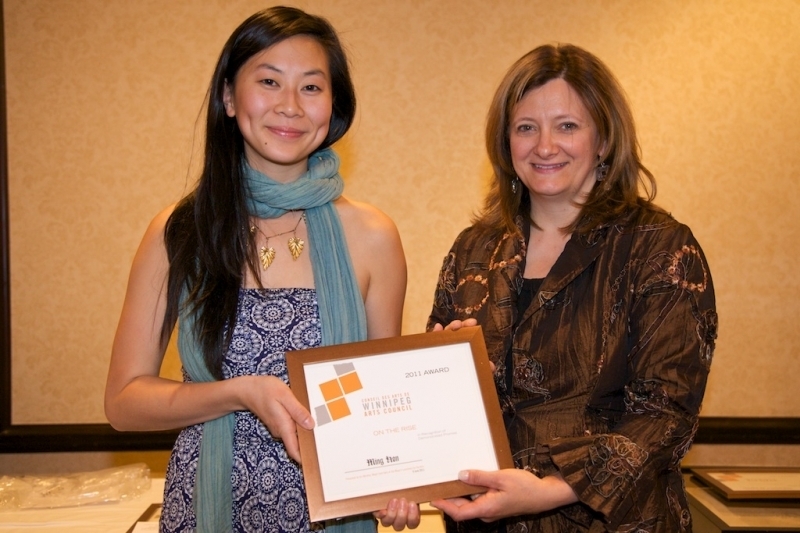 In addition to the four awards traditionally given, this year saw the addition of a fifth award for Making a Difference-Outstanding Volunteer, recognizing the importance of volunteerism in the arts sector. 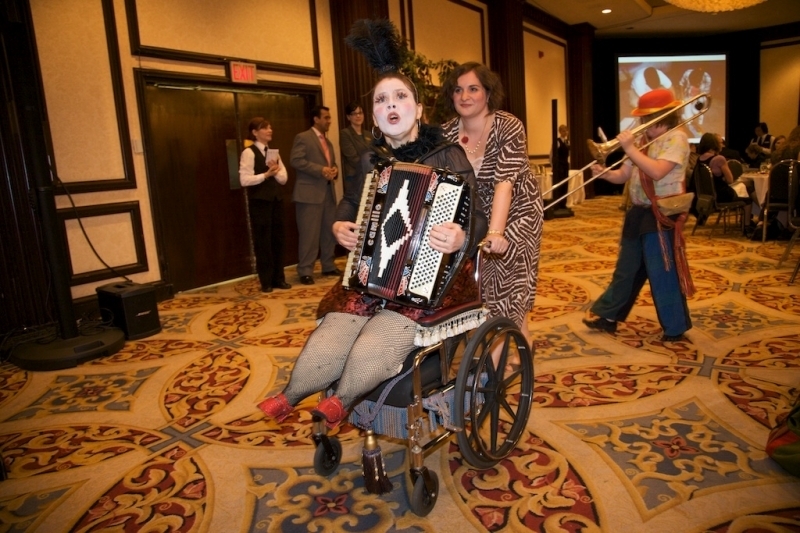 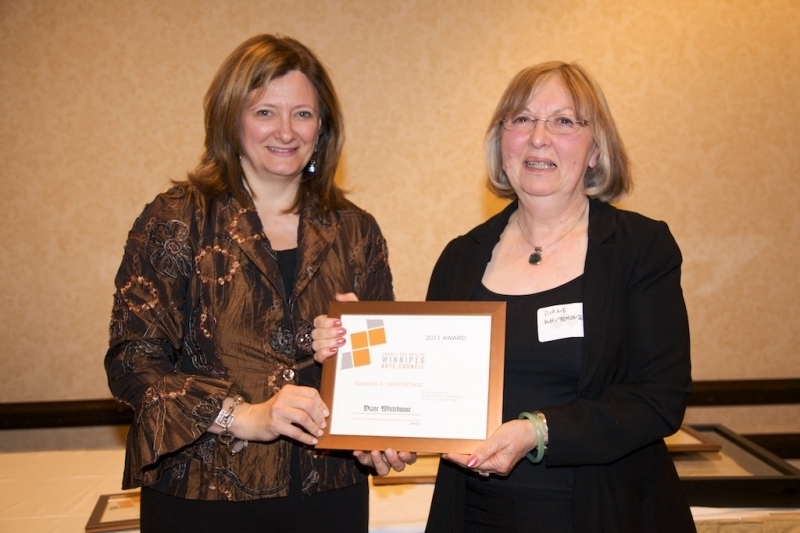 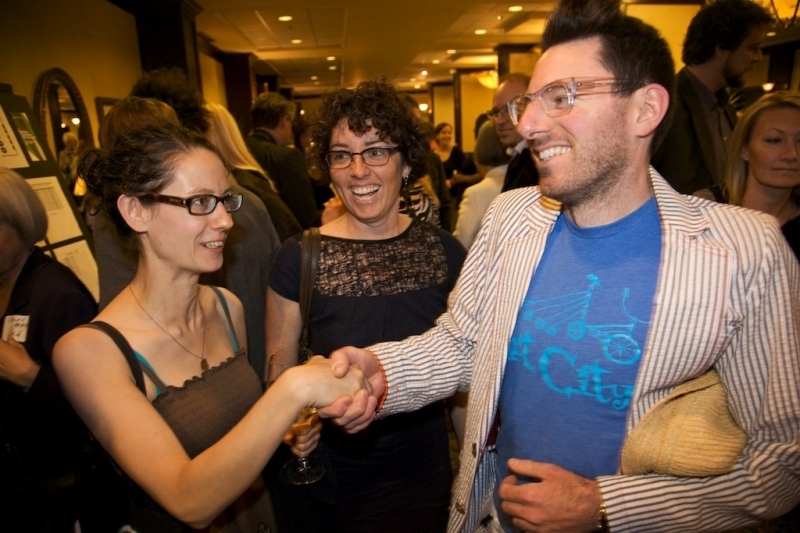 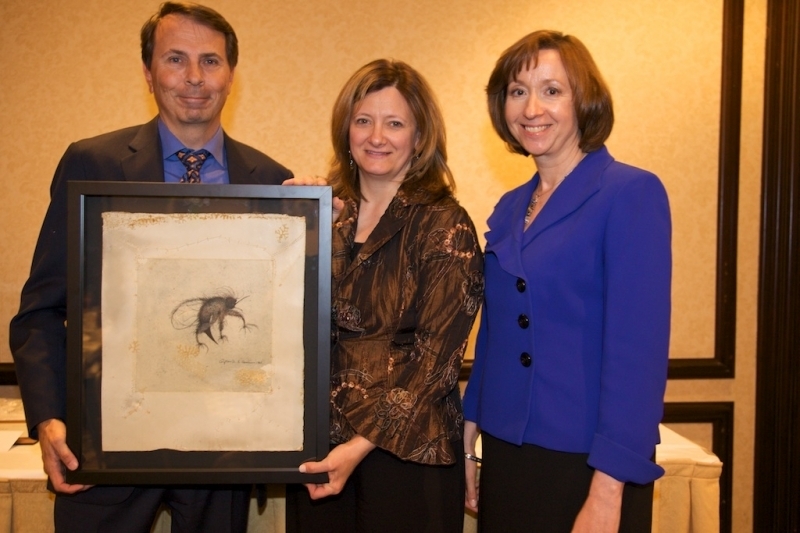 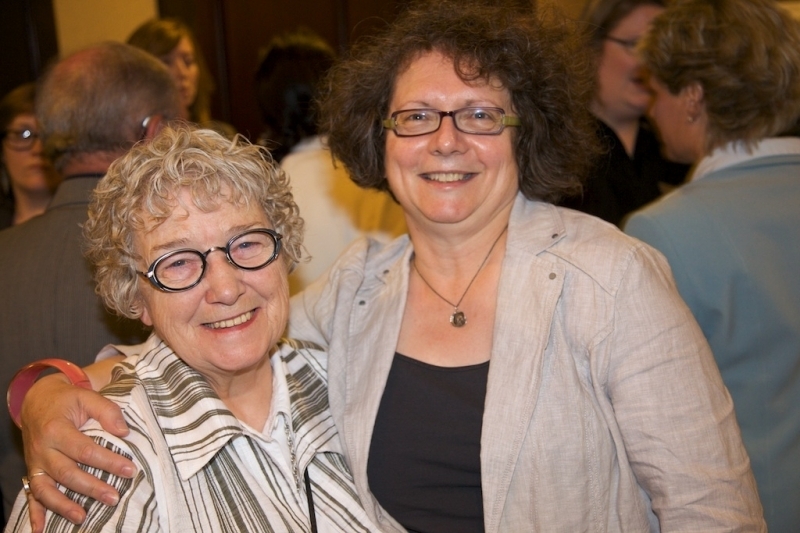 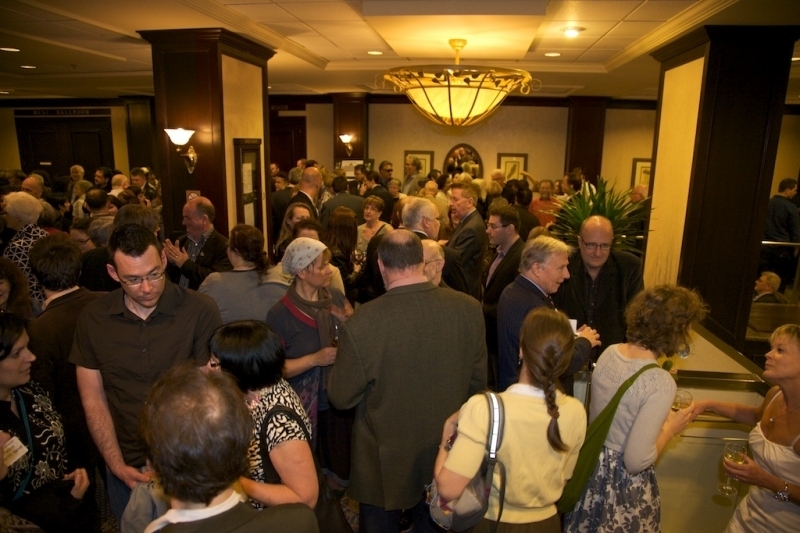 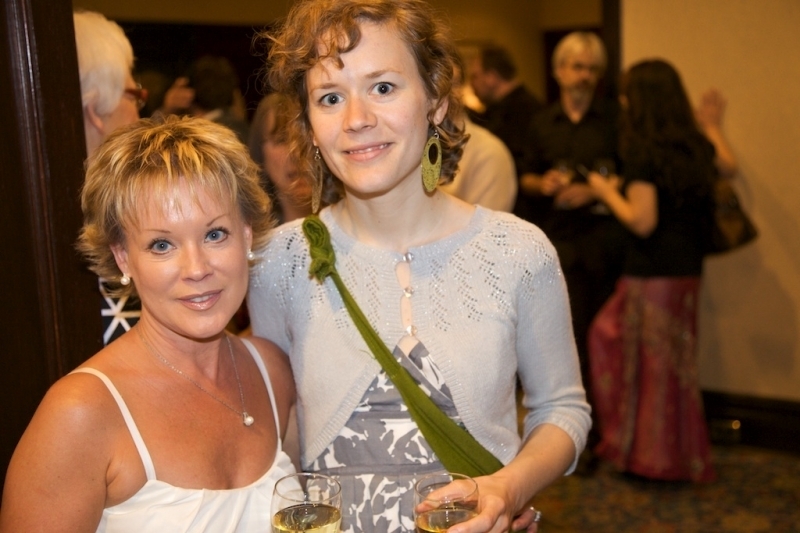 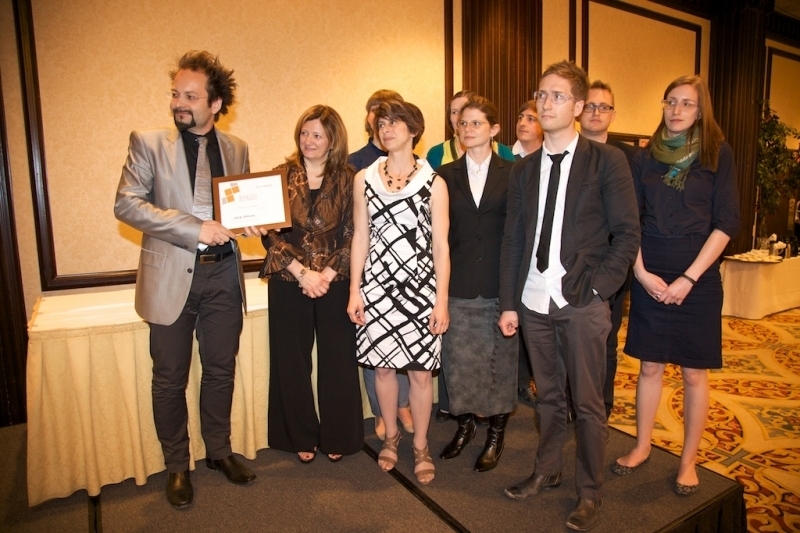 Find out about the winners of the 2011 Winnipeg Arts Council Awards here. 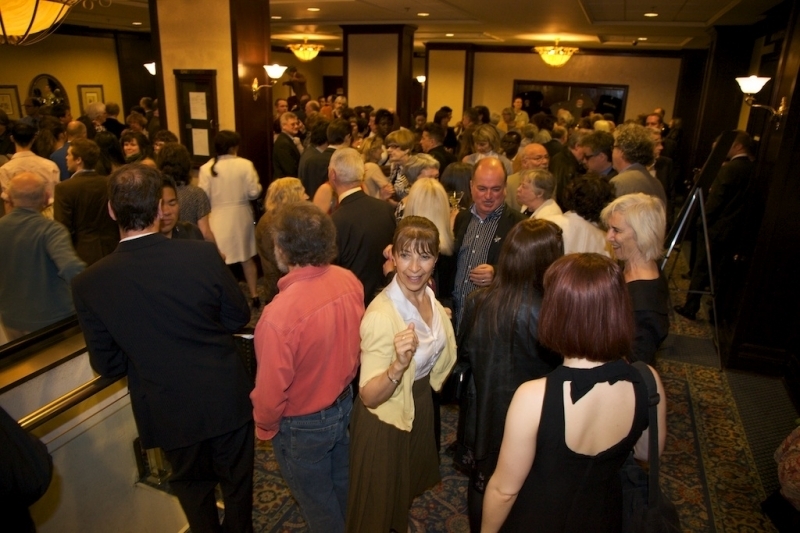 All photos are by William Eakin.